Insect-resistant corn? Drought-proof wheat? Double or triple agricultural yields? It’s not science fiction. Instead, these are the benefits touted by many companies invested in growing Genetically Modified Organisms (GMOs). But, those same benefits are riddled with risk, say many Hawaii residents. In fact, local demonstrators spent part of the weekend planting coconut trees and waving signs as part of rallies across the islands against agriculture business Monsanto. Their chief complaint? The impact companies like Monsanto have on the community when they spray fields with chemical pesticides. They’re goal is to oust agribusiness companies that use Hawaii as a testing ground for pesticides and genetically modified foods or, at least, get them to stop doing it. In Waikiki, tourists walked by as one man wore a gas mask in front of the statue of surfer Duke Kahanamoku and encouraged tourists to get involved in the cause. He said he wants tourists to view Hawaii as more than simply paradise, but a place with real issues and real problems. No GMO. Man holding banner with Anti GMO message. On Maui, one group sowed fields with crops to encourage local farming, and about 200 demonstrators planted two acres of sweet potatoes, banana starts, and more than 100 coconut trees. 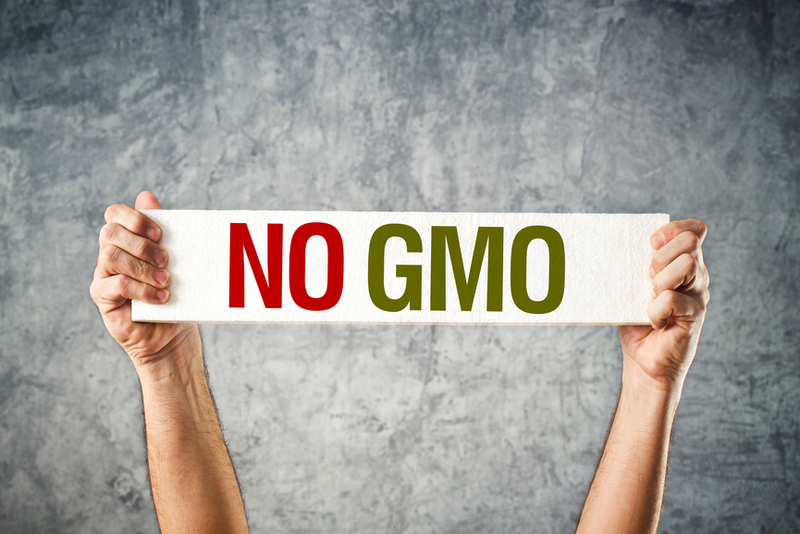 The debate over GMOs (genetically modified organisms) has been heating up in recent months and is now considered one of the most controversial and confusing issues facing the state. Supporters say the technology behind the GMOs is feeding the world at a time of population explosion. Opponents say they pose health and environmental risks, and no one knows the real scope of impact. Plus, opponents say, GMOs contain poisonous pesticides as part of its genetic makeup. Monsanto–the focus of the weekend’s protests, grows more than 2,000 acres of corn in Kunia. There, 70% of Monsanto’s corn crop is GMO. The other 30% is grown conventionally. The GMO corn has been altered to produce a desired trait. The company also says the GMO corn can be engineered to resist insects and herbicides and tolerate droughts. Visitors may soon see GMO labels on their Hawaii groceries, too. The state is considering requiring labeling for any food or raw agricultural commodity that contains a genetically engineered material. The law would also require labeling of any food that was produced with a genetically engineered material bought and sold in Hawaii. With or without a law requiring labels, Whole Foods has made a commitment to label its products in the U.S. and Canada letting consumers know if the product contains GMOs. In the meantime, visitors can be sure their food is safe here in Hawaii. According to Scott Enright, the chairperson of the state Department of Agriculture, the USDA rigorously tests all foods that are grown for food consumption and have not found any difference in the safety of genetically engineered foods and other foods. Still, Hawaii is a hotbed of debate over GMOs, partly because the state is home to more than 5,000 open air genetic and experimental pesticide field tests. For visitors, the local debate over GMOs may seem far-removed from the sun and fun most are here to enjoy. However, locals have long-desired visitors to get involved in local issues and join in state-wide debates, even if they’re only here for a short while. After all, they say, local issues are visitor issues, too.